This is a guide to John Jay College Faculty and Staff publications. For the latest on research, publications, grants and other activities at John Jay College of Criminal Justice, please also check the John Jay Office for the advancement of Research - Faculty research and Student research as well as the Research Centers and Institutes at John Jay College. There's also the 2015 publication detailing 50 Years of Research at John Jay College and individual faculty member profiles in which they present their publications. You can also search individual authors or titles of books in our CUNY+ catalog as well as try an institutional affiliation search in any of our many journal article databases. We present an RSS feed of articles from a few databases on this page. National Network for Safe Communities, formerly the Center for Crime Prevention and Control, fosters innovative crime reduction strategies through hands-on fieldwork, action research, and operational partnerships with law enforcement, communities, social service providers, and other practitioners. The Center is actively engaged in crime prevention initiatives in jurisdictions around the country and the world. It is particularly focused on issues affecting our most vulnerable communities: violent street groups, gun violence and gun trafficking, overt drug markets, and domestic violence. 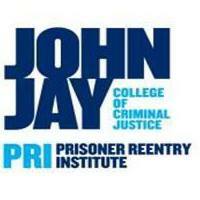 Prisoner Reentry Institute: The mission of the Prisoner Reentry Institute (PRI) at John Jay College of Criminal Justice is to spur innovation and improve practice in the field of reentry by advancing knowledge; translating research into effective policy and service delivery; and fostering effective partnerships between criminal justice and non-criminal justice disciplines. 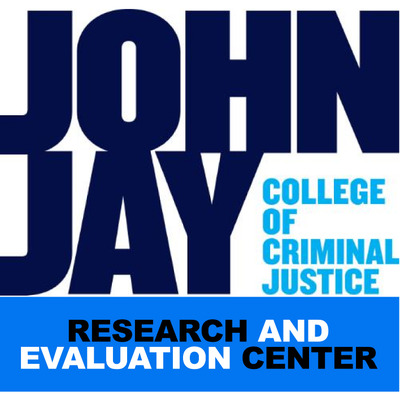 Research & Evaluation Center: The Research and Evaluation (R&E) Center, established in 1975, provides members of the academic community of John Jay College with opportunities to respond to the research needs of justice practitioners in New York City, New York State, and the nation. The R&E Center provides direct assistance to agencies in the justice system, designs and carries out studies of innovative strategies to prevent and reduce crime, and works to improve the effectiveness of interventions at the individual and community level. Center on Media, Crime & Justice: The Center on Media, Crime and Justice, housed at the John Jay College of Criminal Justice (CUNY) since 2006, is the nation’s only practice- and research-oriented think tank devoted to encouraging and developing high-quality reporting on criminal justice, and to promoting better-informed public debate on the complex 21st-century challenges of law enforcement, public security and justice in a globalized urban society. 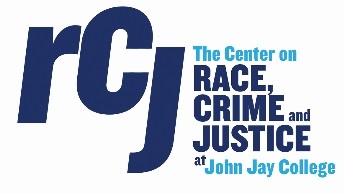 Center on Race, Crime and Justice: The Center is a multifaceted multidisciplinary entity for exploring critical issues at the intersection of race/ethnicity, crime and justice. Through a visiting scholars program, community partnerships and collaborative efforts within the College and across the University, Center participants conduct funded research aimed at answering several of the "big questions" that plague our understanding of crime and justice in a diverse society. The Center for Cybercrime Studies focuses on forms of crime where data, computers and networks are either the target of criminal activity or play a principal role in executing the crime. The Center develops and disseminates the knowledge and research needed to understand, detect, and deter computer related criminal activity. Center for International Human Rights: The Center for International Human Rights (CIHR) was established in 2001 with a mandate to study the main challenges to the promotion and protection of internationally recognized human rights norms; analyze and assess the intersections between human rights violations and international crimes; investigate genocide historically and in the contemporary world; and devise educational programs aimed at increasing public awareness of these norms. Center on Terrorism: The Center on Terrorism was created by John Jay College in late 2001, largely in response to the World Trade Center disaster and the increased interest in terrorism on the part of concerned citizens. The goals of the Center are to study terrorism conceptually in ways that are familiar and appropriate for a university and to identify the practical applications of that knowledge in the search for alternative forms of human security. The Christian Regenhard Center for Emergency Response Studies: The Christian Regenhard Center for Emergency Response Studies (RaCERS) is a unique applied research center focused on development of grounded theory through a tightly-focused research agenda: It’s emphasis is on studying large-scale events from a perspective of first-responder coordination and its relationship to first responder safety, reduced loss through protection of life, property, and critical systems. Dispute Resolution Center: Since 1993, John Jay College of Criminal Justice has housed the City University of New York Dispute Resolution Consortium (CUNY DRC), a university based academic center which serves as a comprehensive coordinating mechanism to advance research and innovative program development throughout the City University as well as the New York City metropolitan area. Institute for Criminal Justice Ethics: The Institute for Criminal Justice Ethics, the only nonprofit, university-based center of its kind in the United States, was established to foster greater concern for ethical issues among practitioners and scholars in the criminal justice field. It seeks to encourage increased sensitivity to the demands of ethical behavior among those who administer and enforce our system of criminal justice, a more focused treatment of moral issues in the education of criminal justice professionals, and a new dialogue among scholars and practitioners on specific topics in criminal justice ethics. Academy for Critical Incident Analysis: The Academy for Critical Incident Analysis has been established with the support of the Dart Foundation, to promote and disseminate scholarly research relating to the emergence, management and consequences of critical incidents. ACIA supports the development and dissemination of course curricula and supporting media for the teaching of critical incident analysis, and supports related instruction at the graduate and undergraduate level at John Jay College. From Punishment to Public Health (P2PH): We are developing a mutual focus on the endemic social and structural problems that lead to incarceration, and we seek to re-imagine the features of institutions and policymaking that will position public health interventions to be successful and held accountable to better health, safety and social outcomes and to reduce the risk of criminal and anti-social behavior. Program for Research Initiatives in Science and Math (PRISM): The Program for Research Initiatives in Science and Math (PRISM) at John Jay College provides an opportunity for Forensic Science students to engage in the process of scientific research while completing their degree. Social Networks Research Group (SNRG): We are interested in research on social networks–from ethnography and network theory, to simulation and public policy. We specialize in research on “hard-to-reach” populations, in both the social and geographical senses of the term.